Peace is one of my favourite sounds and I play it constantly in a spare bedroom in my house, and yet I avoided recording these sounds for some considerable length of time. Asked many times, by both clients and friends “why if I could create all of these amazing sounds why hadn’t I created one for World Peace”?, and my reply that “not everyone wants World Peace, and do we have the right to infringe on the wants of others”. The Peace sounds resonate like the ripples from a stone thrown in a pond. They go where they will and spread love and peace for all who would accept it. I meditated, discussed this issue with Susan, who as always has been my colleague, friend, sounding board and mentor, and after much soul searching I sat down and asked for the “guidance” for these sounds. 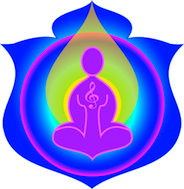 Much thought and meditation had gone into the creation of these beautiful sounds, and they were created with an open heart and the pure intention of being of benefit to all those who would choose to accept them, and yet to not to have any effect on those who did not wish for the pure resonance of them. We, Susan and I, and Our divine guidance from the body of consciousness that we have always referred to as “the source of the healing sounds” offer these sounds to humanity with love and compassion. Comment from Susan – This is a lovely sound and was brought in to help a number of things in a number of different ways. Play it when you are feeling a bit overstretched or are finding it difficult to settle. Good for children, pets and adults. ​This particular sound has an inbuilt resonance within it to offer peace to those who wish it. Use with any other sound.